The resonant good looks and multiple personalities of the Jenny collection will enliven a neutral space. The tailored skirt, classic roll arms and two seat cushions add the perfect finishing touch. 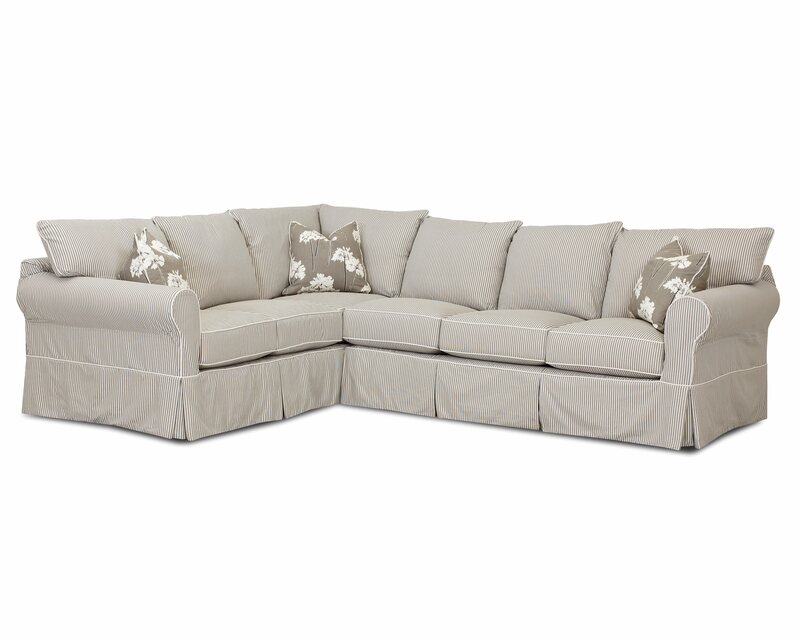 This "special order" slip cover sectional is available in multiple colors/fabrics & configurations. Pricing varies based on fabric group.